If you have turned in your Proposal and want to present your project to the committee, you can use this sign-up to register for a 10-minute time slot. Reminder: The deadline to submit your request is by 5:00pm on the Friday before the committee meeting. Please note that meetings will be moving to 2nd & 4th Thursdays starting in March 2019. 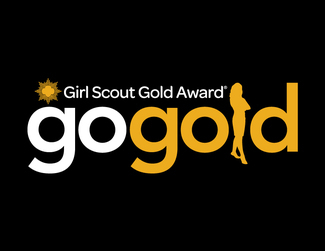 The Gold Award Committee is also here to support you through the Gold Award process. If at any time during the course of your project you think you may have hit a bump in the road, please let us help talk through some options by registering for a 10-minute time slot with the committee. If these times do not work for your schedule email [email protected] to schedule an alternative time. I look forward to discussing my Butterfly Garden Project. I would like to discuss the possibility of moving forward and planting the garden because of time sensitive issues surrounding gardening. I'd like to come in person to present my final project! I was asked to resubmit my proposal with more detailed answers and information. I accidentally submitted the wrong file without complete answers. I’d like to be here to provide missing information and answer further questions.